From the book 100 Bible Verses That Changed the World, by William and Randy Peterson, 2001, pages 141-142 (adapted). 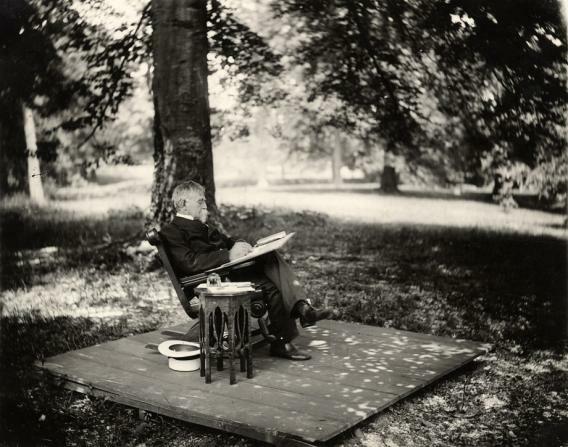 By the time he wrote Ben Hur: A Tale of the Christ, General Lew Wallace had already achieved fame in several careers. He had served in both the Mexican War and the Civil War; he had practiced law; and he had been governor of the New Mexico territory. Once he had spent several hours talking with the noted atheist Robert Ingersoll. Ingersoll was the nation’s most prominent atheist, and tried hard to convince Wallace that Christianity was not true, “vomiting forth ideas and arguments like an intellectual volcano” Wallace later recalled. Ingersoll’s arguments made Wallace determined to come up with some personal convictions of his own about religion. As Wallace started to read the New Testament, he was interested in the story of the wise men in Matthew chapter two. Who were they? Where in the East did they come from? After considerable research he wrote up his ideas thinking that someday he might develop them into a magazine article. Little did he know what would eventually develop from that research. A few months later he spent an evening with friends, discussing religion, the Bible, and Jesus Christ. Wallace himself said very little that evening because he didn’t have much to say. He had never thought religion was important, but after that discussion he considered the possibility that he had been wrong. Again, he suspected that the answers would be in the Bible. His research and planning took seven years. In the middle of that time, he was appointed governor of the New Mexico territory. Occasionally his literary work would be temporarily disrupted by a war with Native American tribes or a death threat from the notorious outlaw Billy the Kid, but Wallace kept returning to his research and writing. Besides reading the Bible, he read every book he could find about the Bible. And as his research progressed, he more and more came to believe the Gospel accounts. By time Ben Hur: A Tale of the Christ was completed in 1880, Lew Wallace was convinced that Jesus was indeed the Christ. Wallace’s story tells of Judah Ben-Hur, a patrician Jew whose enemy, Messala, causes him to be unjustly sentenced to the galleys and his family to be imprisoned. When Ben-Hur is freed, he enters a chariot race against Messala, and in the race Messala is defeated and maimed. Ben-Hur’s mother and sister, freed by the new Roman procurator, Pontius Pilate, are cured of leprosy by Jesus shortly before his crucifixion. The book quickly rose to the top of the U. S. all-time best-selling list (not counting the Bible) and remained there until 1936. In 1926 it was made into a silent film; its producers spent more than four million dollars to make it, a record up to that time. Then in 1959 it was remade as a three-and-a-half-hour epic blockbuster. Some critics have called it the greatest epic film ever made. The film, which cost fifteen million and took six years to make, was nominated for twelve Academy awards and won eleven. It was again made into a movie in 2016. It has been called the most influential religious book of the 19th century. And it all began because General Lew Wallace wanted to find out a bit more about the wise men. Deuteronomy 4:29 — If… you seek the Lord your God, you will find him if you seek him with all your heart and with all your soul. This entry was tagged conversion, Jesus. Bookmark the permalink.